Yesterday I went to Amsterdam for a date with blogger babe Britt and I finally shoot some of the latest looks that I have been wanting to share with you for a couple weeks! Today I am showing you the first outfit which is mostly Black and White with a pop of pink and rosé gold. A perfect outfit for on the road if you ask me! This on the road outfit is pretty basic and comfy but fierce and classy as well due to the leather jacket and leather ankle booties with pretty high stiletto heel! 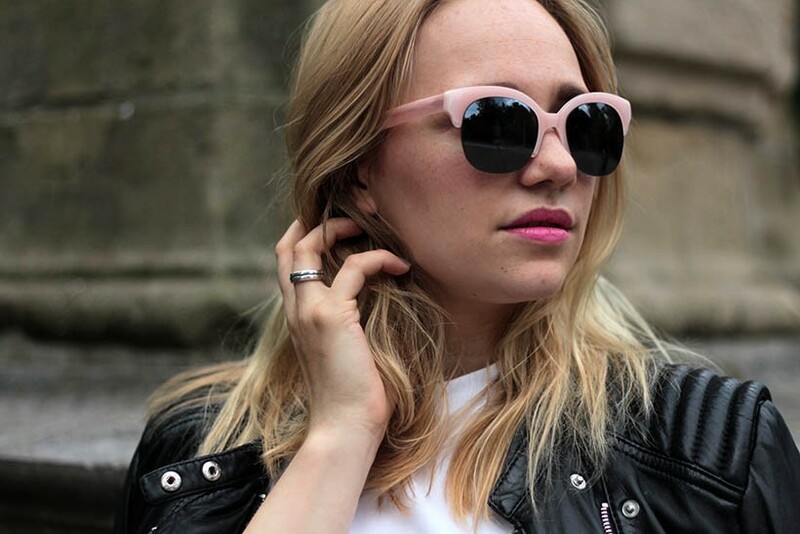 The pop of pink in the sunglasses and the pink lipstick give the whole look a playful vibe. When I received these stiletto ankle boots I immediately knew I wanted to style them with a black and white outfit and my leather jacket. I really love ankle boots and found this western style pair at Sacha Shoes*! Besides my stiletto heel ankle boots from Sacha* I am wearing my customized Andy Warhol collection Pepe Jeans*, Weekday plain white tee, Oakwood Leather Jacket (bought at Zalando), River Island purse*, Andy Wolf sunglasses via bckspace eyewear* and my Daniel Wellington watch! 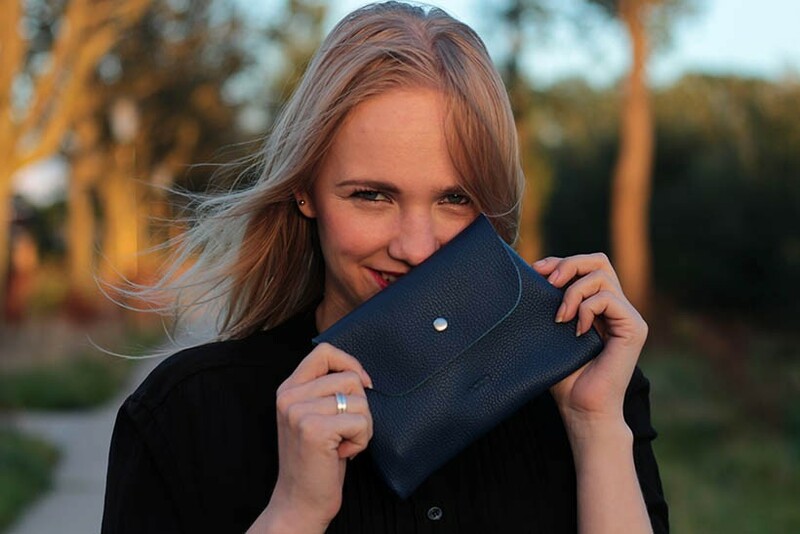 My Daniel Wellington discount code ‘Saranda’ is still valid until the 31st of August! 🙂 What do you think of this look? !